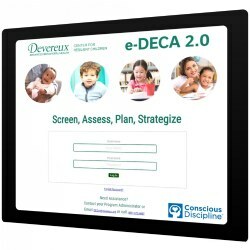 This e-DECA By Assessment (Single) Rating is for use with the e-DECA Assessment & Planning System. 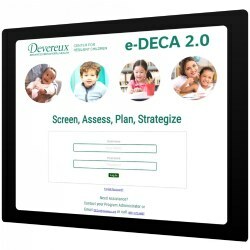 This web-based application allows the Devereux Early Childhood Assessments (DECA) to be entered ONLINE by both teachers and parents. With this rating option, you are purchasing one assessment for every assessment you are planning to complete for the year. 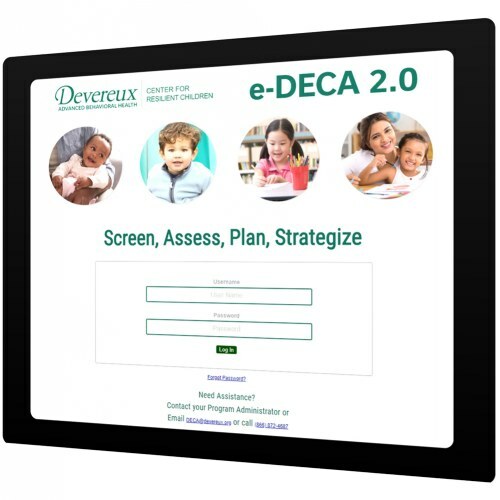 Example: If you were to purchase three By Assessment (Single) Ratings, that means you will be able to submit three total assessments into the e-DECA System. That could be three assessments for three separate children, or three assessments for just one child.